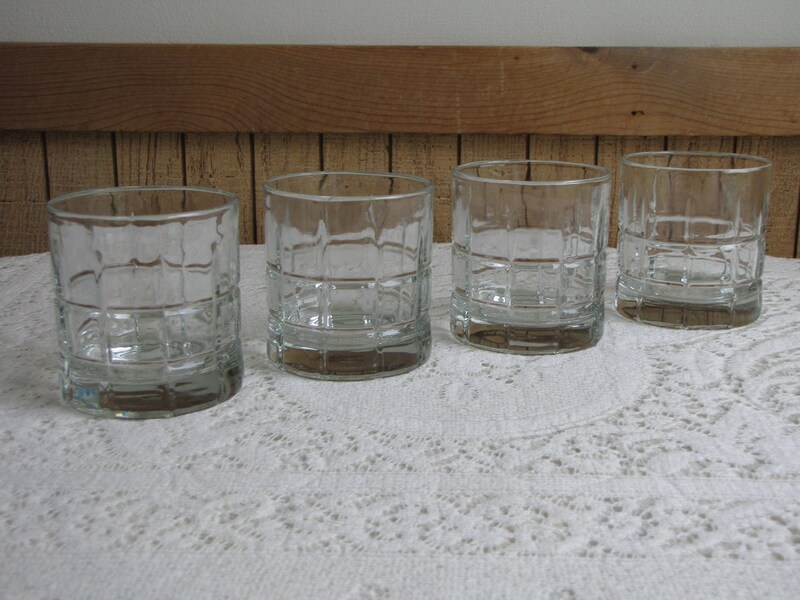 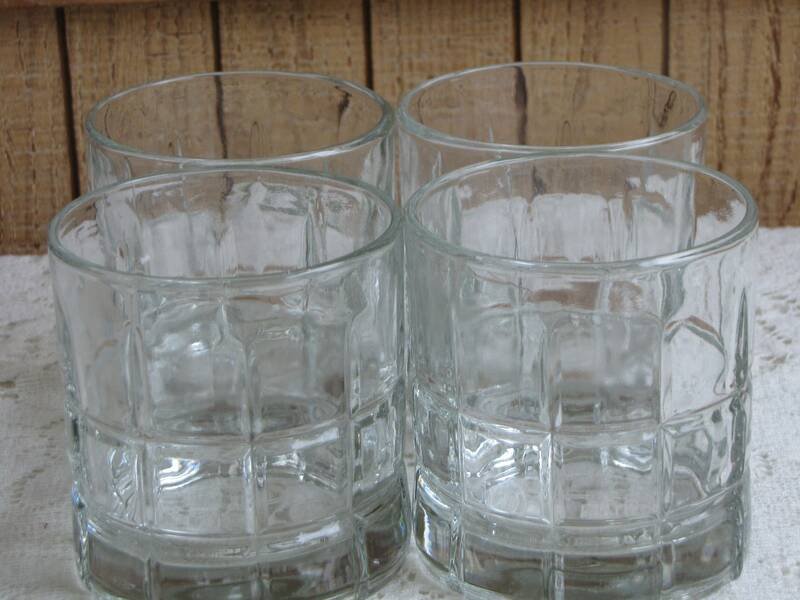 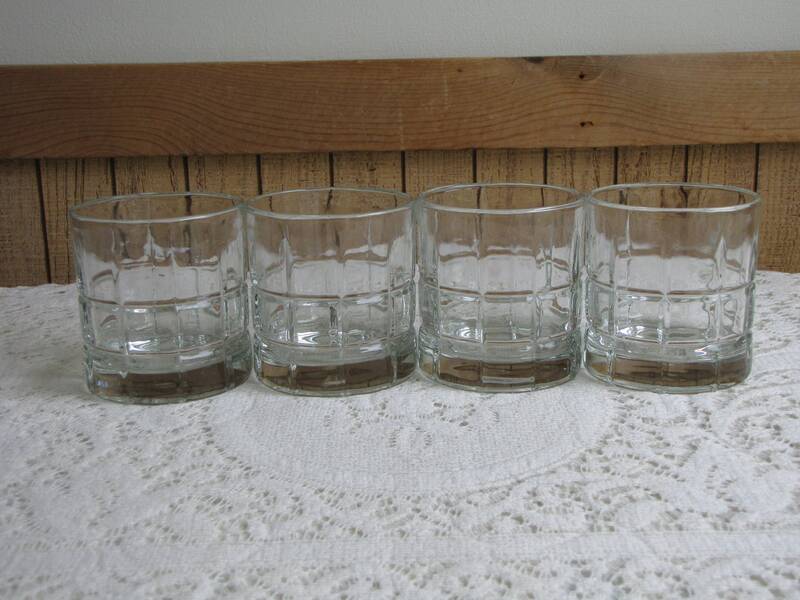 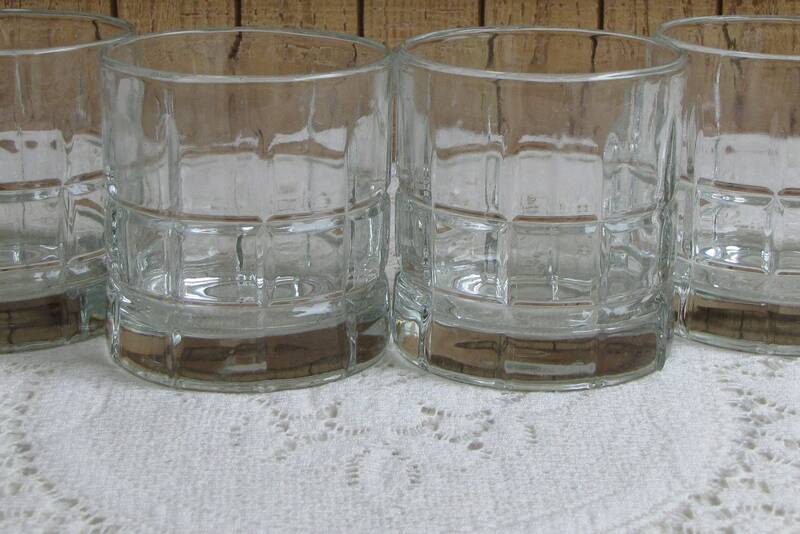 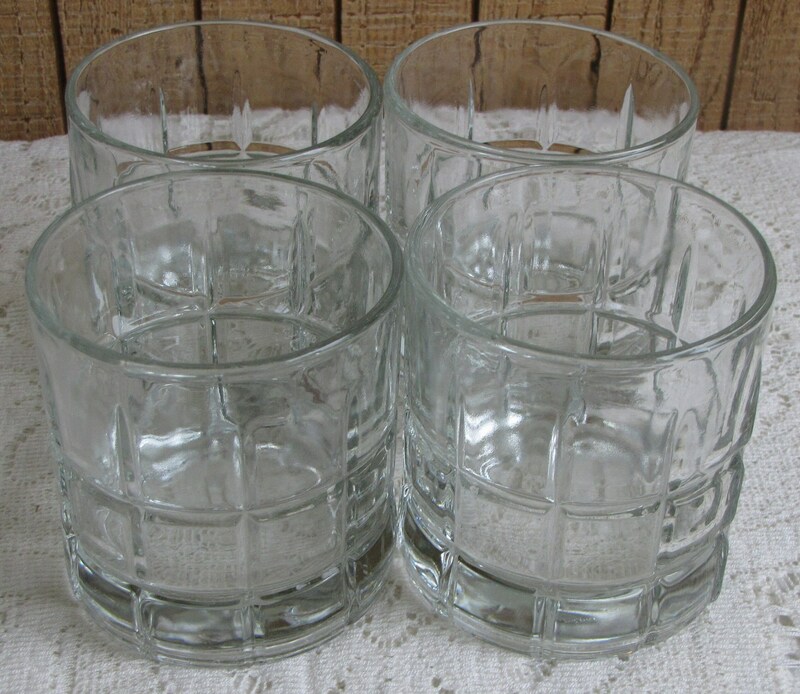 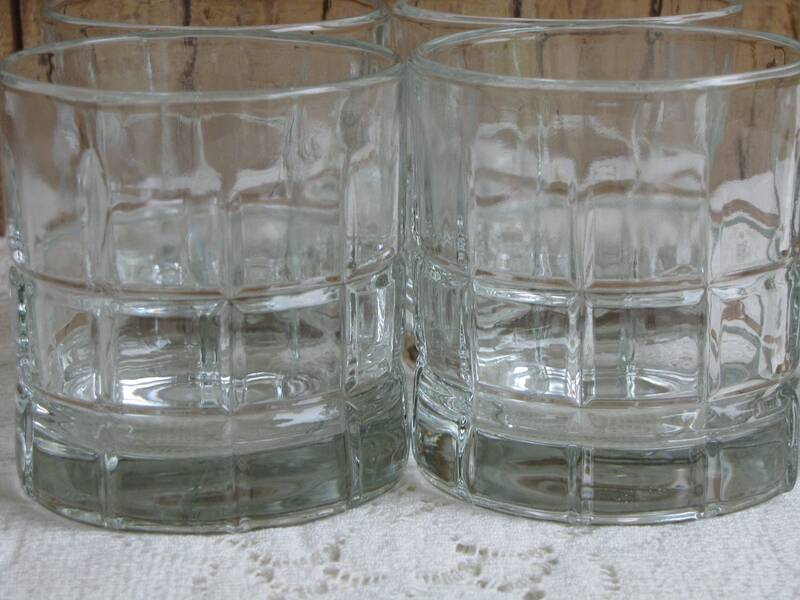 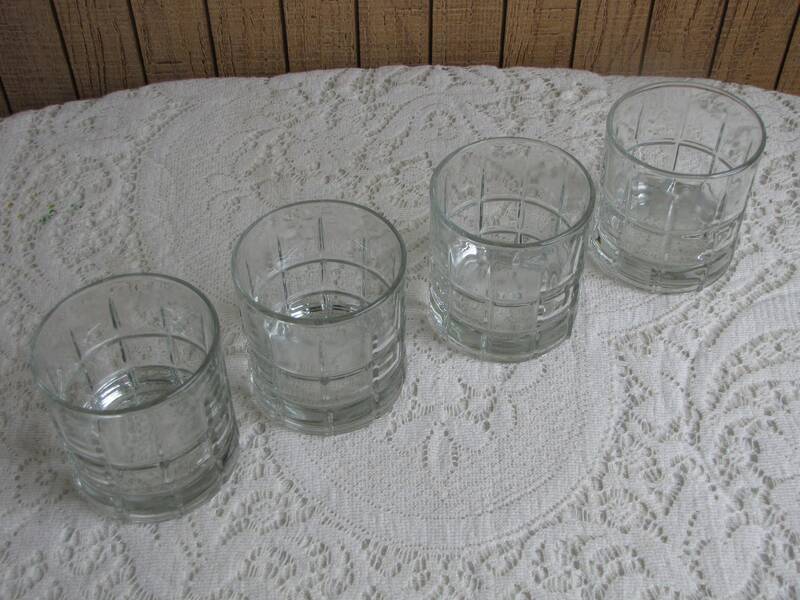 This listing is for a set of 4 Tartans patterned old fashion glasses by Anchor Hocking. 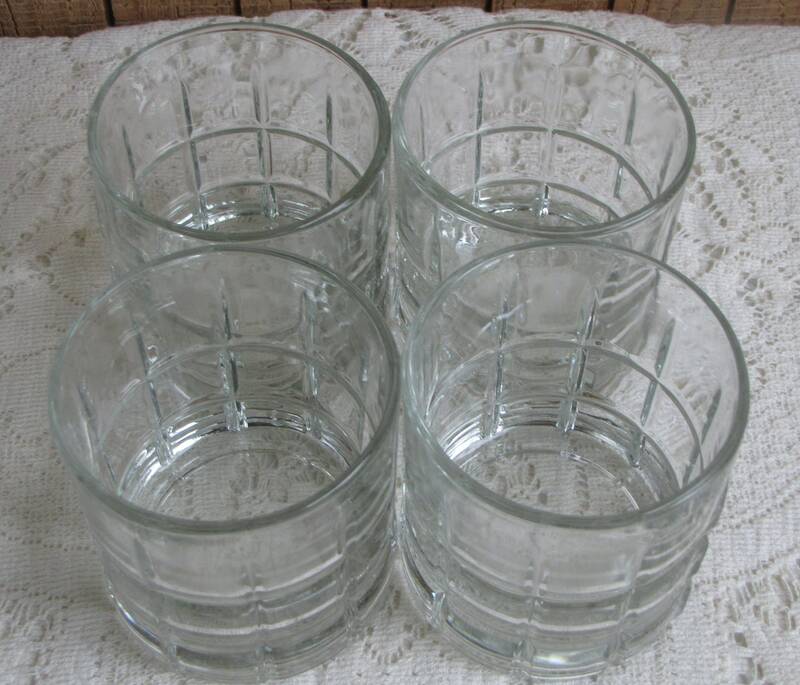 The bar glasses are in very good vintage condition with no chips or cracks. 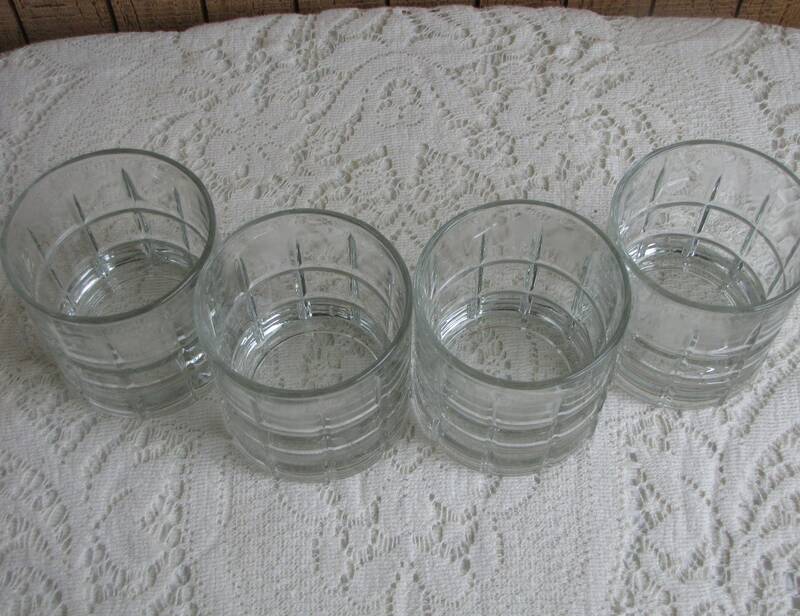 Signs of use include some scratching that you can see when you hold them up to the light. 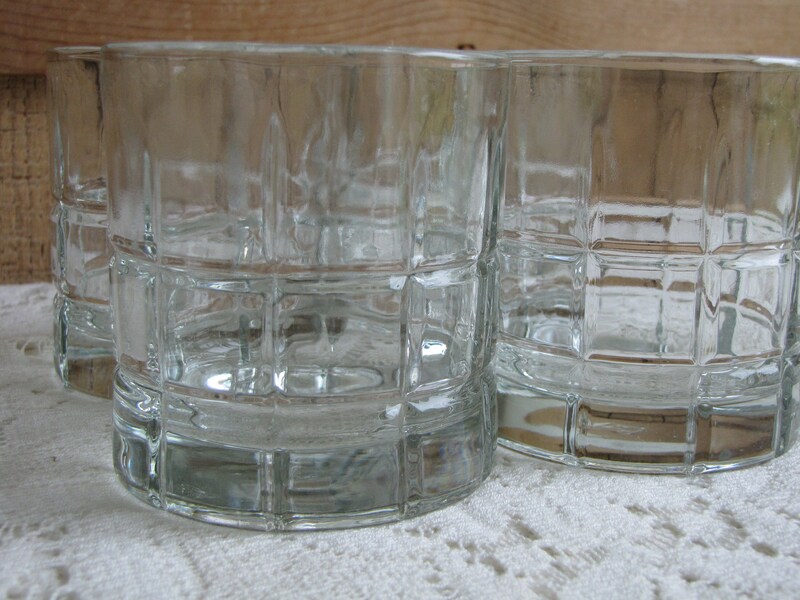 The glasses measure 3.5 inches tall and 3.25 inches in diameter.